Football Helmet Card SVG Cutting file. This SVG file is perfect for your cutting machine. The svg file is an easy to cut out design to make all your pages come together quickly! 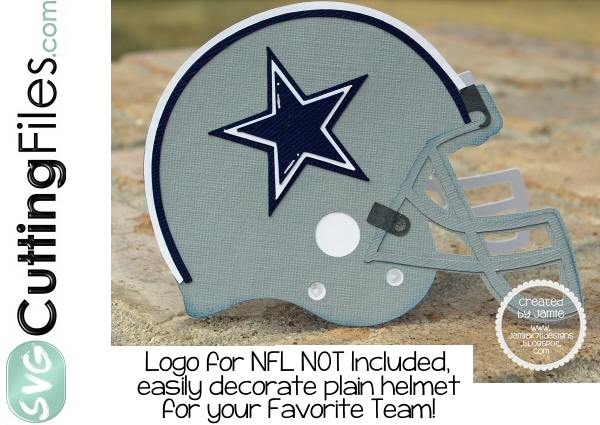 This is a PLAIN helmet -- you can easily decorate with your favorite team LOGO or school colors.... STAR is NOT INCLUDED with FILE... its just to show what you can do!! !